HAPPY 2nd BIRTHDAY PRINCESS ZOE! 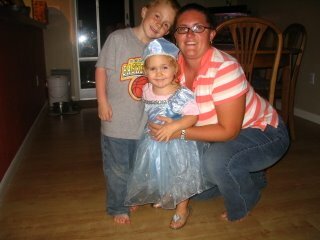 Mommy with her prince and princess! Daddy's present was a hit. 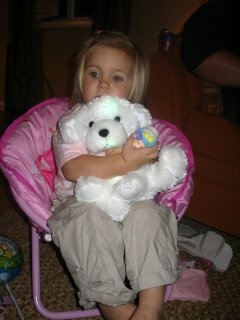 This is a little glow doggy that changes colors. She didn't put it down all night and it has been her nighttime buddy that past two nights! Brother got sis a new baby with clothes, diapers, and a bottle so Zoe was taking care of her new babe for most of her birthday night. 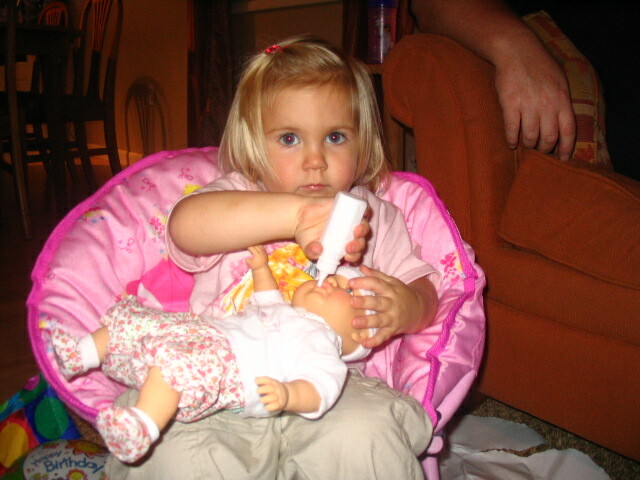 She is such a good little mommy!! 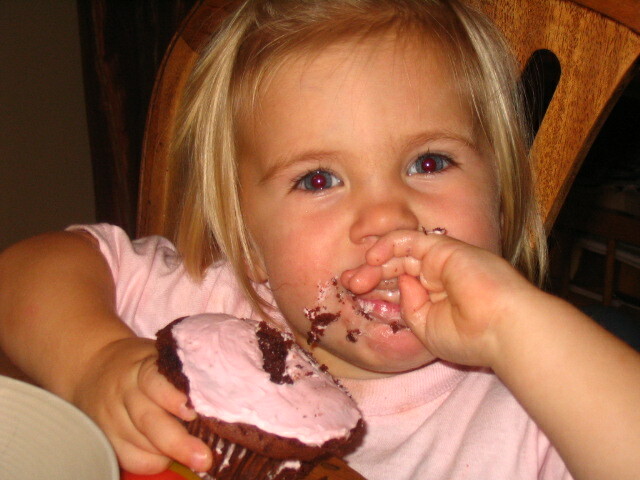 MMMMM...cupcakes! Gotta love the chocolate on the face, in the hair, on the clothes...everywhere you could possibly think of. But, boy is it worth seeing the big smile! 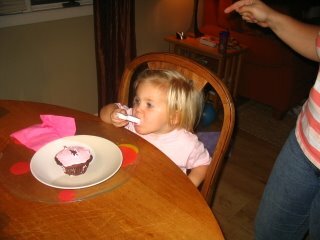 Momies little girl...taking the candle off first thing and making sure to get all the icing from the bottom, along with a nice bite of wax!